Birthday / Age / Date of Birth / DOB October 06th. 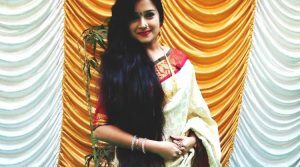 Prajakta Gaikwad is an Indian Televison actress working in Marathi Televison Industry. Prajakta Gaikwad was actively participated in cultural programs since the college days. Prajakta Gaikwad was born on October 06, in Pune, Maharashtra. She was born and brought up in Pune, Maharashtra. But currently, she is living in Mumbai because of her acting career. She has an inspiring personality with a dimpled smile which adds to her beauty. She did her schooling in Huzurpaga Girls High School and Junior College, Pune. She is pursuing Engineering from from Goverment Polytechnic , Pune, Maharashtra. Prajakta Gaikwad actively participated in cultural programs since the college days. She had even participated in lots of plays and Ekankikas during this period. Prajakta got a breakthrough in ZEE Marathi Serial Nanda Saukhya Bhare in 2015, while she was pursuing Diploma. She played the character of ‘Sayali’ as a lead actress sister. 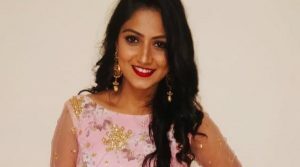 She got to work in the historical TV show in 2016 with Colors Marathi Serial Tu Majha Saangaati, based on the life and times of the famous Bhakti poet and Varkari saint Sant Tukaram. She played the role of Sant Sakhu in it. 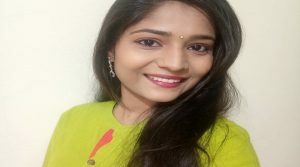 The good caliber of acting and graceful personality which landed her popular role of Yesubai in Historical TV serial Swarajya Rakshak Sambhaji opposite the actor Amol Kolhe, who is playing the role of ‘Sambhaji’. Impact of Yesubaai i.e. Prajakta Gaikwad is so good with her fans that even when they meet Prajakta in public places they do ‘Mujra’. She had to learned Horse riding and Swordfight for this role. Prajakta was given a proper training of horse riding for 15 days prior to the shoot. Initially, she was afraid of animals, but she managed to master the arts. Her favourite hobbies are Acting, Dancing and Travelling. Her Favorite actress is Deepika Padukone. 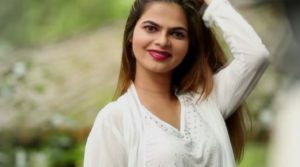 Her favourite music artist from Marathi indutry is Ajay-Atul Music. Her Height is 5 Feet and 3 inches. She likes Bollywood and Hip Hop dance. She is eager to work SouthIndia film industry. Her official instagram id is @prajakta_gaikwad_official & she has over 230K followers there.